One common problem that church leaders face is how to spend their time most effectively. Although these leaders seem to have an unlimited amount of energy, they are only human. Often they divide their work up into two categories: housekeeping items and spirituality. The housekeeping items involve tasks like updating the church records and taking care of the accounting. The spiritual tasks include preparing for sermons and serving the members in any way. Unfortunately these housekeeping items often take up a lot of time leaving it hard to focus on what’s most important. Fortunately, there is technology to help these leaders with their housekeeping items. Church management software has several features that make it easier to run the day-to-day operations of the church: (1) Accounting and payroll. Handling all of the contributions can be a real head-ache and it is very time consuming. Church staff members have to make sure that all of the donations are categorized properly according to the FASB nonprofit standards. In addition, at the end of the year members should receive a contribution statement that lists how much they contributed during the year for tax purposes. Fortunately there is church accounting software to help you with all of this. (2) Tracking membership information. A good church software package will also be able to help with tracking important member information such as contact information, current callings, and conversion date. Managing all of this would be a nightmare without a good management program. (3) Scheduling and managing activities. A good church membership software program will help you keep track of all the service opportunities and other activities going on within the church. Click on any of the links below to read a review about the software (you'll also find links to each companies' website). This company has been making church software since software started being developed. Okay, maybe not that long, but they have been in the business since 1987. They have the friendliest staff and the best customer service (I’ve dealt with quite a few church software companies and have been really impressed by how I was treated at ChurchWindows). Their software is broken up into 6 modules: Membership, Scheduling, Payroll, Accounting, Contribution, and Accounts Receivable. Initially the separate module idea bothered me, but as I deal with more church leaders I find that they all have different needs. ACS has been in this business for a long time. They provide some very high-quality and flashy software. Probably the thing I like best about ACS is how they cater to different sized churches. They have an option for small churches, medium/large churches, and mega churches. This is very good software. This is a larger company so expect to receive all that comes with dealing with a big company: tried and tested software, but occasionally a small customer might fall between the cracks. This is an interesting church management system solution. One feature that is particularly intriguing is the option to integrate the management software with QuickBooks. Many people prefer to do their accounting on QuickBooks (because that’s how they’ve always done it). 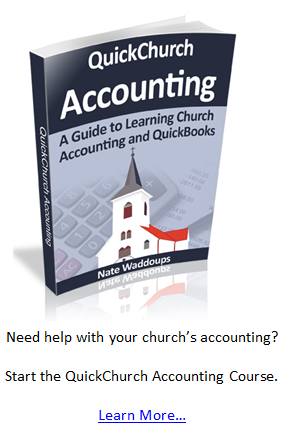 This software allows you to manage your church and contributions using QuickBooks as an extension. The people at Icon Systems take church management very seriously. 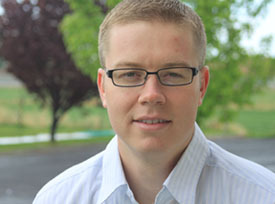 They have a licensed CPA on staff that can answer all of your church accounting questions (accounting is where most church leaders run into problems, usually membership management doesn't cause as much stress because you don't have standards and regulations that you are required to follow). IconCMO (the software provided by Icon Systems) is based online. The new trend in technology is to move the software online. This makes it so church volunteers can access the information from anywhere they have Internet access. It also means that your church doesn't have to worry about the technology headaches that comes with upgrading (the tech experts at Icon Systems take care of all this for you). The idea behind ChurchTrac is to provide a low-cost solution for managing your church. The ChurchTrac software is free for your first 100 members. This is great new for those churches that are just starting out and are on extremely tight budgets. ChurchTrac has also branded itself as the "easy-to-use" church management system. This means that your church will save money in support costs. Many software companies make their living off of providing difficult software programs and then charging a lot of money for support. ChurchTrac goes the other way; they try to make their software as user-friendly as possible so that you'll never have to bug them. You can read my full review by clicking on the link above. I would be very grateful if others could provide their experience with these church management software programs. If you have experience with any church management program please write about it below (in the comments section). This will really help out people looking to find programs for their church. You would be surprised at the number of people looking for help. Take a few minutes to serve your fellow man. You’ll be blessed for it! Note: If you work for one of these companies and would like to get your logo placed next to your review, then please contact me.